One of the projects I got involved in as I started my genealogical adventures was looking at the family of my grandmother’s sister/cousin, Pat. Pat’s parents died of TB when Pat was young and she was raised by my great-grandparent who were also her uncle and aunt. Confusing, huh. Pat didn’t know much about her mother’s side of the family and when I started this and found some documents, I asked Pat’s daughter if they would be interested in learning more. They were… And away I went. Thus began my involvement in the researching the Ormsby family of Oro Township, Ontario. (Click on photo to go to album). 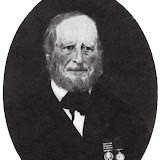 Pat is a descendant of James Ormsby (1783-1873), an Irishman who settled in Oro Township, Simcoe County, Ontario. James was a soldier in the British Army and in 1830 in lieu of his pension, he took land in Canada. While James and his family succeeded in the Canadian wilderness, many of the soldiers who made the same deal did not. James and his wife Elizabeth had two sons who survived: George Billings and James Jr. These two sons married two sisters: Jane and Eleanor Reid. And this is where things start to get complicated. Genealogy is a very humbling adventure because you start to realize how easy it is to make mistakes. I’m sure that I have made many that have yet to be discovered. In any case, one of the things that I discovered in looking at the Ormsby family is that Pat’s branch of the tree had disappeared over time for many of those doing research on this family. Pat is a descendent of Maud McKenzie (1870-1953) and William Ormsby (1862-1906), son of James Jr. However, most of the Ormsby trees online (there are many) overlooked this branch or get it wrong. William’s older brother named James. Not too sure what happened to him. Alfred James Ormsby. In other trees online, Maud is often also linked to Alfred James Ormsby who is actually the son of George and Jane Ormsby. He died in 1893. Arthur William Ormsby. Maud’s William is also sometimes mistaken for George and Jane’s son Arthur William who was born in 1869 and moved to Edmonton, Alberta. I checked Arthur William’s marriage certificate at the Alberta archives and confirmed that he is George and Jane’s son. 2) The fact that the Ormsby brothers married the Reid sisters and the families lived side-by-side seemed to cause lots of confusion not only for genealogists but also for the families themselves. One of the most thorough histories of Oro Township (Kith n’Kin) lists many of the Ormsby children as having the wrong parents. It was hard to keep track of all of those children! It didn’t help that both families had a son named Robert (James and Eleanor’s son Robert survived; George and Jane’s didn’t). 3) No one from Pat’s branch of the family was doing any genealogical research. William and Maud McKenzie’s family has a tragic history. William died young of cancer in 1906, and the town of Severn Bridge where they lived burnt down that same year. Two daughters died of TB (Evelyn and Norma) and a third of myocarditis (Wilma) by 1922. Another daughter married because she was pregnant (Olive Ormsby Williams) and their son Osborne joined the Canadian army in 1917 at the age of 13 (he lied on his application form). His lie was discovered in time and he never saw the war, but I think that it is another piece of evidence that the family was undergoing some turbulent times. Their eldest daughter Edrie’s only child, John Stewart, died in WW2 in Europe. Evelyn Clarice (1892-1922). Died of TB. Norma Pauline (1894-1922). Died of TB. Olive Willemina (1896-) m Clarence Williams (1894-?). Son Jean. Marguerite Ruth (1898-1983). Died in Los Angeles, CA. Wilma Jean (1901-1919). Died of myocarditis. My entire Ormsby tree is here if you are interested: http://wc.rootsweb.com/cgi-bin/igm.cgi?db=ormsby-mckenzie.